2. 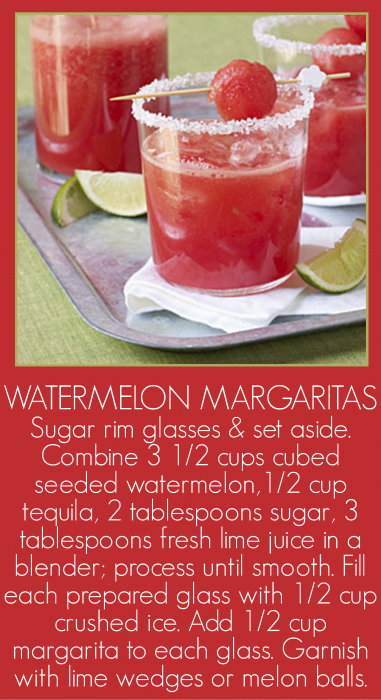 Combine watermelon and next 4 ingredients (through Triple Sec) in a blender; process until smooth. Fill each prepared glass with 1/2 cup crushed ice. Add 1/2 cup margarita to each glass. Garnish with lime wedges or melon balls, if desired.